The Barking Bugle Bark Up! Calling All Dogs! Come along to the Barking Bugle Bark Up! A social event especially for dogs and their 2 legged pets. 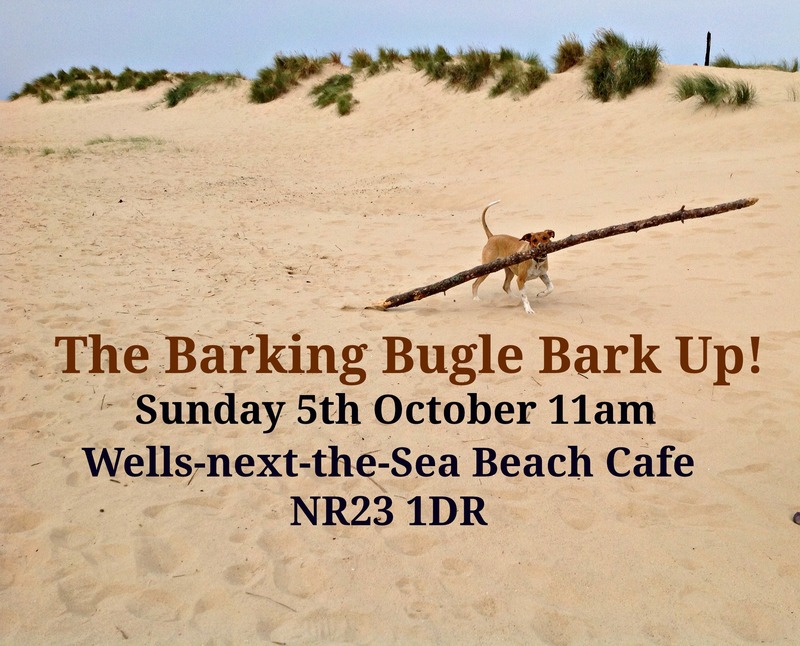 We will be meeting up at The Beach Cafe at Wells-next-the-Sea (nominated for Britain�s most dog friendly cafe) on Sunday the 5th October at 11am. It�s then time to stretch our legs as we walk through the pine forest and then back along Wells beach. There are two walk options:- Route A is a 30 minute walk suitable for older dogs, and Route B which will take around an hour. After all our physical exertions, it�s back to the Cafe for a welcomed rest and a cup of doggy tea and biscuit, supplied courtesy of Woof & Brew and Pooch�s. The Cafe is super dog friendly, and we are welcome indoors as well as outdoors. (please note car parking charges apply). It�s going to be great fun, a good way to meet new pals and socialise and plenty of photo opportunities. So make sure you woof to all your doggy mates and let them know! This is a free event but we will be doing a bit of tin rattling on behalf of PACT Animal Sanctuary, so any donations much appreciated. The Barking Bugle Bark Up! - Calling All Dogs! Come along to the Barking Bugle Bark Up! A social event especially for dogs and their 2 legged pets.